Fake news is not new, but it's never been so pervasive or harder to spot. Find out how to spot fake news. Fake news is what it sounds like, stories that are published that are not based on facts. The aim of most fake news stories is to make money. Fake news stories have exciting titles that lure people to click on a link--which makes money. In print, sensational headlines sell tabloids. Do You Know Fake News When You See it? Fake news would not be a problem if people knew it when they saw it. It matters because most people have trouble identifying fake news. 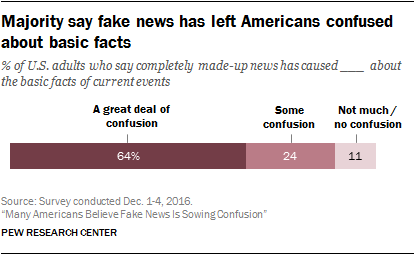 A Pew Research study (link below) showed that 64% of Americans had a great deal of confusion with an additional 24% having some confusion. That's a lot! Forbes: Americans Believe They Can Detect Fake News. Studies Show They Can't. This thought-provoking book unpacks the fragmented state of news feeds and journalism, and the loss of shared news narratives in the U.S., while also exploring the effects of media manipulation and disinformation online. * Must be on campus or have a COM ID to access off campus. Also available in print in COM Library. Fake news can have real life consquences. In fact, the chart below demonstrates that fake news can get more traction than real news. 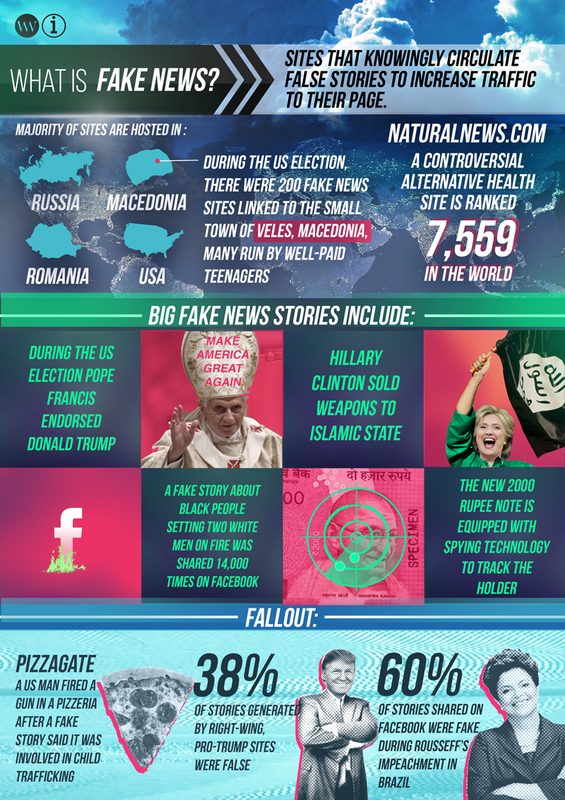 During the 2016 Presidential election, fake news stories on Facebook were viewed 1.4 million times more than real news stories.